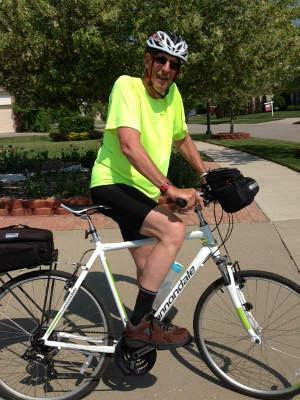 An Eastern Michigan University professor is undertaking a 450-mile cycling trip starting June 29 in order to raise $4000 dollars to support Study Abroad programs at Eastern. Even more amazing, he will making the 12-day journey at age 70, something many people in their 70's could not undertake. John Fike is a part time lecturer in Eastern's political science department. He says Study Abroad programs are important because students who go to other countries to study come back more mature, more focused, and more rounded in their understanding of the world. Fike says the trip will take him to Battle Creek, Kalamazoo, South Haven, Grand Haven, Big Rapids, Mount Pleasant and Bay City, wrapping up in Lexington, near Lake Huron. He says the trip should take about 12 to 14 days and people can follow his progress on Twitter @emujohnfike. 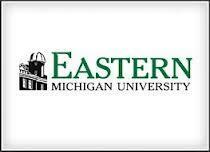 Full time undergraduate students at Eastern Michigan University will spend about $340 more in tuition and fees next school year. The board of regents today approved a 3.75 percent increase in tuition and fees. Eastern Michigan University Student Government has decided to fund the recent campus visit of the traveling "Genocide Awareness Project" exhibit. EMU Students for Life had requested about $5,000 to help support the exhibit, which uses graphic photos to equate abortion with genocide. The request was originally declined, but after a review of student government procedures for funding student organizations prompted by a lawsuit, EMU Student Government decided to provide the funding.